We now introduce the speakers for an Entrepreneurs session: Startup Innovation. 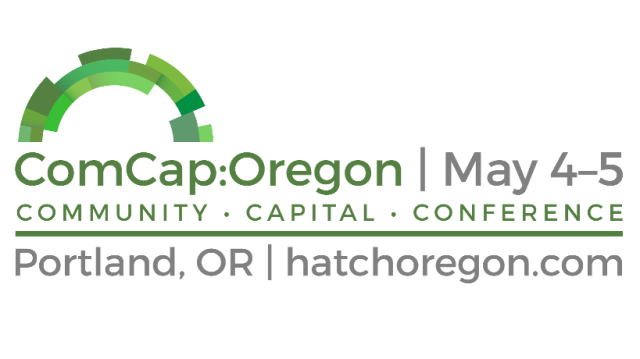 Join this session to learn about launching manufacturing and tech startup entrepreneurs – Oregon’s early innovators! Jennifer E. Fox, Ph.D. is the Executive Director of the Translational Research and Development Institute (OTRADI) and the OTRADI Bioscience Incubator (OBI). Under her leadership as Executive Director, OTRADI designed, built-out and manages Oregon’s first, and only, bioscience-focused incubator—the OTRADI Bioscience Incubator (OBI). The OBI has been at capacity since opening in mid-2013, with six bioscience client companies. In response to an ever-growing waiting list of bio-startups, the OBI is expanding to house ten or more companies starting in spring 2015. OTRADI launched a second location—OTRADI South—in Corvallis in March 2015. The Oregon Translational Research and Development Institute (OTRADI) is an Oregon Signature Research Center that facilitates scientific collaboration and the commercialization of new bioscience discoveries. OTRADI works with partners in the bioscience sector to discover, develop and commercialize pharmaceutical drugs, diagnostics, medical devices and products using its expertise and equipment. 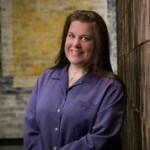 Heather Stafford is the Assistant Director of Entrepreneurship & Innovation at Business Oregon, and formerly the Executive Director of Sustainable Valley Technology Group, an incubator/accelerator in Southern Oregon. She is a passionate advocate for local investment strategies and an avid coach for entrepreneurs and start-ups. Sustainable Valley Technology Group is an independent, non-profit, economic development initiative founded to create a more prosperous and sustainable economy. Founded in July 2010, Sustainable Valley is the only business accelerator in the six counties of Southern Oregon to support the growth of innovative, start-up companies. Also co-founder of the Southern Oregon Chapter of Slow Money, Heather works with regional food entrepreneurs, investors, government leaders, economic development, workforce development and education partners to educate the community about the local investing movement and opportunities to get involved. Ms. Stafford earned a Master in Business Administration, a Master in Management from SOU School of Business and holds a certificate of Non-Profit Management. Heather is a professional level Spanish speaker and a systems thinker who enjoys novel ways in which an ecosystem can fit together. Gregg Semler, President and CEO, is a veteran leader in the clean energy sector, operating clean technology companies since 2000, including being the first CEO of ClearEdge Power and then recently starting the venture capital firm, Pivotal Investments. Gregg is an entrepreneurial leader with significant operating experience. He combines exceptional vision with an outstanding record of creating and implementing business & financing strategies. He’s identified and secured strategic partners and investors; set the strategic course and direction of commercializing products into the energy markets; and successfully secured nearly $100 million in private equity. Gregg earned his MBA from the Amos Tuck School at Dartmouth College and his BA from Columbia College in New York City. Eli is a Certified Advanced Rolfer and Biodynamic Craniosacral Therapist who has practiced holistic manual therapy in Portland for over 10 years. He is a long-time social entrepreneur who helped found a successful holistic health center, the Community Inspired Professionals business support group, and WebLively. A visionary with a passion for collaborative wellness, Eli guides WebLively’s outreach and growth.